The night look of Tokyo Station is different from the day time. 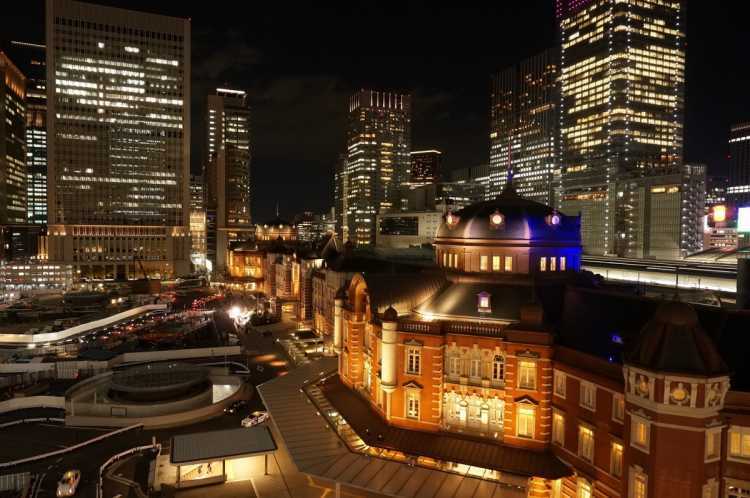 You can see the illuminated awesome Tokyo Station closer from the roof garden of the building 'KITTE'. It opens for free, so you can visit many times to take photos. 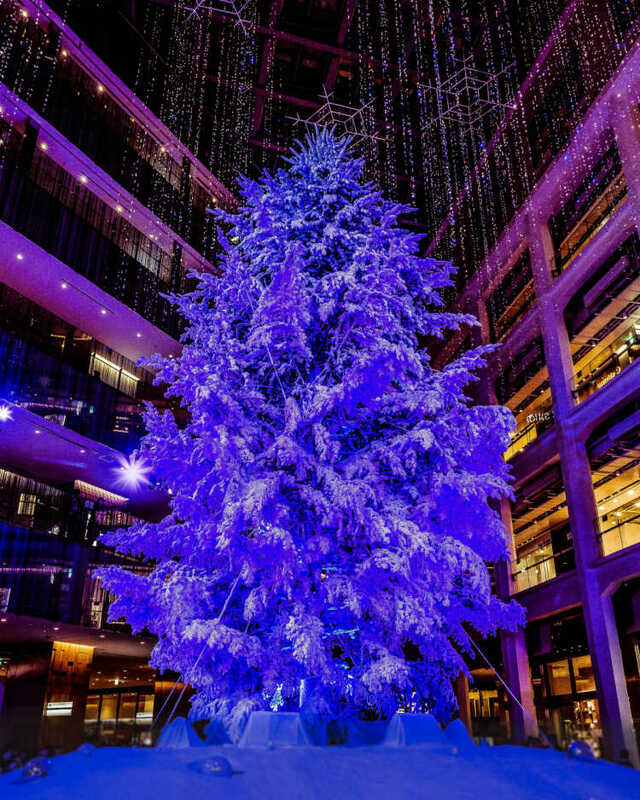 Christmas tree illumination has just arrived at KITTE this year, too. 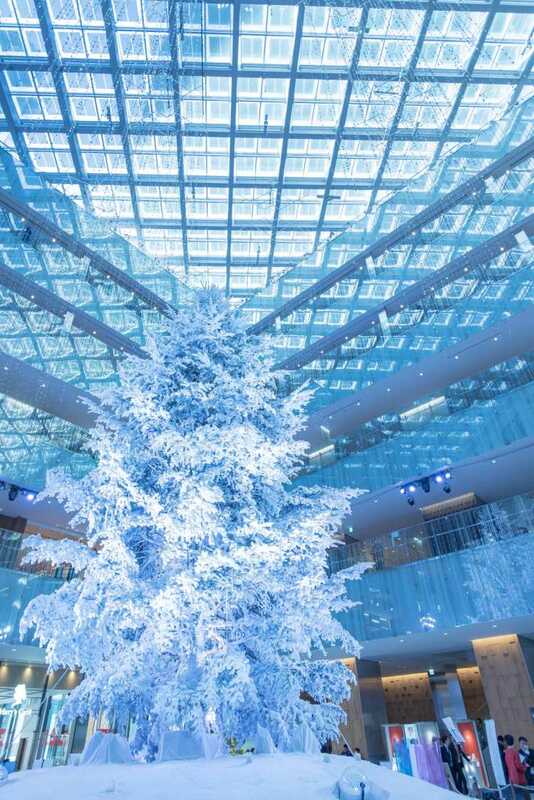 I can't take my eyes away from a Christmas tree changing its colors by lights.◎It'll be exhibited till December 25th. KITTE is located 1 min walk from Tokyo Station.